It happens sometimes that hiring certain kind of services is easier than getting rid of them. An original idea could become a burden and we may struggle to get rid of the facilities that have made our life happier and more comfortable in the past. This situation is closely related to the well-known timeshares. They were usually introduced as a safe and affordable way to enjoy our holidays in a wonderful and sunny place full of amenities with the sole obligation, apart from the initial payment of the price, to pay an annual fee for covering the maintenance. Unfortunately, all good things come to an end and those timeshare rights ceased to be an asset and became a hindrance. These days most people want to get rid of their timeshares and would even pay to dispose of these. In those cases, the most advisable thing is to dust off the title deeds and study this in order to see if there is a way out. This is the rare case where the buyer bought a timeshare in a properly executed private contract but this contract was never formalised into a Deed. In this case, there are different alternatives. 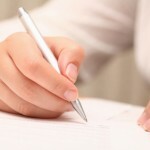 The first one is to formalise the contract into a proper Deed. This will involve Notary fees, stamp duty and Land registry fees but at least it will allow us to have a proper Deed and perhaps increase our chances of transferring this legally to an interested buyer. Another option is to leave things as they are and wait until the timeshare expires (usually 50 years). In this option we can include the cases where the buyer bought a timeshare and formalised the appropriate title deed. The buyer has proper title and is entitled to sell the timeshare. However, the main problem is that no one is interested in buying the timeshare except perhaps for the owner of the property or the company that manages the timeshare. We have recently seen an increase in enquiries from clients who have been approached by the Management agents with offers to acquire the timeshare from them for free. In most of those cases, the client needs to pay for all l the expenses of the transfer but he is happy to do it as this could involve getting rid of the timeshare. In those cases, the management agents request a very wide power of attorney that would enable them to transfer the timeshare to themselves. We are not comfortable with clients signing this type of powers of attorney but clients sometimes prefer to take the risk and go ahead with the power of attorney in the hope that their obligations will cease. As indicated, we would recommend tailoring the power of attorney to the specific timeshare but we are aware that some timeshare owners have opted for wide powers of attorney due to pure desperation and we hope that no adverse consequences will arise. -A contract that does not comply with the law. (see the post “everything you wanted to know about timeshares , but were afraid to ask” which was posted in this blog in ………. 2011). In this type of cases, the buyer has a contract but this contract has many irregularities, some of them so relevant that they may deem the contract null. These contracts can probably be terminated on the basis that they have irregularities and do not comply with former and existent laws. In our daily practice we have seen it all: proper deeds, proper contracts with no deeds and dubious contracts. Clients are usually surprised when we tell them that a time share does not have to be for life and they always welcome the advice and the options we gave them with the arms open as few people are now interested in keeping their timeshares and prefer to get rid of them. If you are one of them, feel free to give us a call and we will see if we can help you. Everything you wanted to know about Timeshares (but were afraid to ask). The Spanish holidaying boom that started around 30 years ago brought many positive things: continuous presence of foreign tourists, better hotels and infrastructures and a new hope for the then stagnated economy. During the first years of the boom, a new type of property ownership appeared and proved quite successful. It was known as timeshare and consisted in the right to use a specific holiday property for a specific period of time every year. Many tourists, especially from countries like the UK, Germany and Sweden, purchased timeshares in Spain with the idea of being able to use them for the same week every year. However, the timeshares were not properly regulated and in many occasions those tourists signed very dubious contracts that did not have any legal grounds. The opportunistic found a golden mine in this type of ownership and suddenly dozens of companies started to sell timeshare. Interestingly, most of those companies were domiciled in an off-shore jurisdiction and the contracts that the purchasers signed did not make any legal sense as in most of the cases were subject to foreign jurisdictions. This lack of regulation led to the first scams and frauds. Then, in 1994, the EU enacted a new European Council Regulation with the aim of protecting those purchasers against this type of scams. When it comes to Spain, the said Regulation was not implemented until 1998 when a new law was created to regulate timeshares. The aforementioned law contained measures for the transparency in the purchase of this type of structures, granting the purchasers enough rights to avoid being defrauded such as, for instance, the seller’s obligation to register the development with the Land Registry, the prohibition of registering the company in an off-shore jurisdiction and the obligation to provide accurate and transparent information to the potential purchaser. At the same time, the purchaser was granted a 10 day cooling off period and, after that, a 3 month right to resolve the agreement in the event of a breach of contract. In spite of the good intentions of the EU Regulation and the Spanish law, those dealing with timeshares continued to create illegal structures which did not comply with the aforementioned laws. Things such as Holiday Clubs, Holiday Certificates and many other similar names were created with the purpose of avoiding the strong Timeshare regulations. Once again, those new contracts were subject to dodgy clauses and foreign jurisdictions with no connection to Spain. Then, sometime in the past decade, things started to get really wild and fraudsters managed to obtain full lists of foreign nationals, many of them British, who presumably owned a timeshare in Spain. They contacted them under false pretences and indicated that they had found a purchaser, requesting amounts of money in advance for taxes that did not exist. In the end, a structure that started more than 3 decades ago ended up being associated with fraud and waste of money. Nowadays, there are thousands of British who think they own a timeshare in Spain and are religiously paying the annual fees even if they do not use the place at all, being afraid of the potential consequences of not paying the fees. A little of research on the internet and any reader will see that some people are so desperate to get rid of their timeshare that they are willing to give it for free. Unfortunately, no one is interested in those timeshares anymore. I have been dealing with British clients since 2003. I have seen more than 30 clients coming for advice in respect of their timeshares. However, only one of them had a proper timeshare title deed. The others did not own anything. They only had a certificate that it was not worth the word it was written and did not comply with the existing timeshare laws. 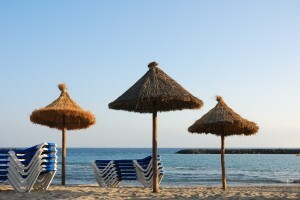 So what is next for those who own a timeshare in Spain? First of all, check if you have a proper title deed. This means a Spanish notary deed and not some sort of certificate issued in English by a company domiciled in an off-shore jurisdiction. If you have a proper title deed, then try to sell it. Some investors are interested in buying the apartments back from those who have proper registered timeshares. If you do not have a proper deed, which is quite likely to happen, then your next step depends on whether you are really using the timeshare or not. If you are and you like the place, then keep it. Keep paying the maintenance fee and using the place on the allocated weeks. If you are not using it and you feel it is more a burden than an asset, seek legal advice as you might be able to terminate your agreement and get rid of the timeshare. In our firm we have dealt with many cases and, fortunately, most of them have a way out. If, on the other hand you are one of the thousands who have been defrauded by the so called timeshare estate agents that took money for selling timeshares and run away, there is a big case in Malaga against an organisation who defrauded foreign purchasers from France, Germany and UK. It has been estimated that the organisation managed to generate 8.6 million euros through this strategy. If you are one of them and have not appeared in the procedure bear in mind that the trial has been listed for the 9th May 2011. To conclude, a timeshare does not necessarily have to be associated with bad press. Some people own timeshare through a proper title deed which is compliant with the current laws. On the other hand, there is a large majority who think they own a timeshare when in fact the only thing they have is an empty paper with no rights and numerous obligations. In those cases, specialised legal advice may prove advisable.